Want to experience the magic of Disney without paying full price? Now’s your chance. 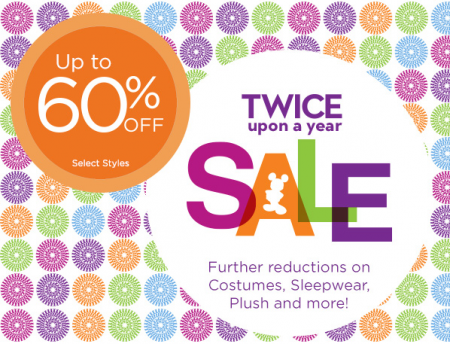 During the Disney Store’s Twice Upon a Year Sale, customers can find discounts of up to 60% on select styles. Plus, the retailer promises even deeper discounts on costumes, sleepwear and other items. We spotted sale products for every type of fan, whether you’re shopping for Frozen merchandise or Star Wars toys. The Star Wars Princess Leia Mug, for example, is on sale for $4.99 (regularly $14.95). And the Elsa Nightgown for Girls has been reduced to $12.99 (regularly $32.95). Visit the store’s website to check out the complete selection of sale items. Online shoppers can use coupon code SHIPMAGIC to get free shipping on eligible orders of $75 or more. Find this deal at the Disney Store.